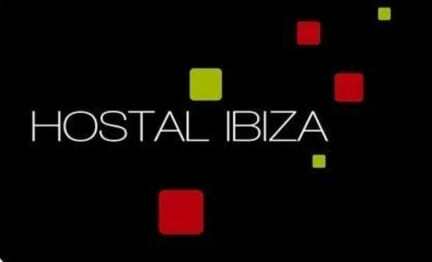 Hostal Ibiza, recently renovated in early 2012, with a young spirit, is located in Ibizas Port, in the heart of our city and just a few meters away from the main points of interest such as restaurants, bars and major stores. Thanks to its excellent location you will easilly find both taxis and bus stops from where you can go visit the best beaches, clubs, the picturesque villages and other points of interest that make up our beautiful island. 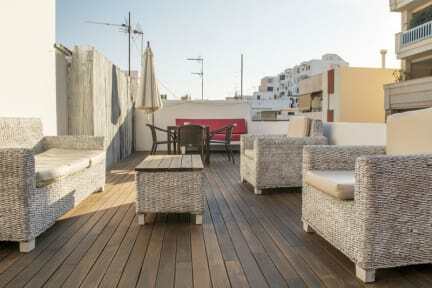 Hostal Ibiza has 20 rooms and a terrace on the third floor where you can have a good time. We have single, double (double bed or twin) and triple rooms. Some of them with private bathrooms and others with shared bathrooms. If you want a nice hostal in the center of town to spend a few days enjoying the best of the island, the Hostal Ibiza is the ideal place for your stay. Room was clean , airy, and pretty. Bed was extremely comfortable. Staff was friendly and helpful . Bathroom was recently renovated and the shower was amazing. Location was pretty good but not within walking distance to the beach. Fantastic location, clean and modern accommodations, easy check-in and wonderful staff. Stay here and you will not regret it! I did find the doors closed loudly and you could hear people in the mornings cleaning or doing construction. Bring a pair of ear plugs and you will be fine. Highly recommend. I really liked this hostel and thought it was very clean and cute for the price we were paying. I really liked the set up of each room and that each person got their own bathroom, sink, and double bed. My only complaint is that we could not check in before 2:00. Perfect location - I arrived at the end of season so very quiet and had a room to myself. First of all, this is not a hostel and although I booked a bed in a four-bed room, that doesn't exist - all their bedrooms are double rooms, which makes it quite awkward as you're sharing a small bedroom with a stranger. No kitchen or common room either, and a few of the women staying there (including my roommate) were actually local escorts. Not suitable for travellers looking to meet people from other countries. The good thing was that it was clean. I was a little disappointed, the hostel was under construction and it was loud all the time. I really did try but could not for the life of me find the common room. The terrace is just a smoking spot really. This “hostel” is not actually a hostel it’s more of a run down hotel. The beds were disgusting with a blood stain and hair all over it that I ended up sleeping on top of the covers with my jacket over me! The bathrooms are okay, some are newly renovated and the rooms only lock with a small key in the door. Great location but do not recommend staying here! !